Still, said that article, experts agreed that stethoscopes had value for listening to lungs and bowels for clues of disease IEEE Spectrum posted a video about a stethoscope development at Johns Hopkins University last month. suggesting all talk of the stethoscope's demise can be put aside. The news is not about demise but improvements. The Johns Hopkins team have invented their rendition of a "smart stethoscope". Engineers, doctors and public health experts collaborated on the project. Rather than accept arguments elsewhere that the stethoscope was nearing extinction, they set out to reengineer it. They said that "We wondered whether we could overcome the stethoscope's limitations and thereby take advantage of its low cost and ease of use." The Johns Hopkins design sought to ensure that a strong signal arrives at the user's ears. In IEEE Spectrum, the university's Mounya Elhilali (an associate professor of electrical and computer engineering), and James West (a research professor of electrical, computer and mechanical engineering), said that "Together, we invented a device that uses digital sensing technology for sound capture, active acoustics for noise cancellation, and artificial intelligence (AI) to help health workers make accurate pneumonia diagnoses." "The chest piece is packed with transducer arrays to achieve a uniform sensitivity over the entire active area. This design delivers a strong signal even when the chest piece isn't placed in precisely the right location, which gives a major assist to untrained users." They experimented with a number of transducers, "including microelectromechanical systems (MEMS), which allow us to pack a great many microphones into a small area, as well as nanofiber materials that match the acoustic properties of skin to limit signal loss." Pneumonia diagnosis could benefit. "Worldwide, more kids die of pneumonia and other lung ailments than from any other cause," they wrote. "These acute lower respiratory infections kill nearly 1 million children each year worldwide, causing more deaths than HIV and malaria combined." Observed symptoms are shortness of breath, cough, and rapid breathing. They said they hoped for worldwide deployment to help prevent children from dying of pneumonia. "Health workers in rural clinics could use our smart stethoscope even if they don't have access to the Internet; the onboard technology does all the processing and provides an instant recommendation on diagnosis using a small built-in LED display." Luke Dormehl in Digital Trends brought out some important observations about diagnosing pneumonia via stethoscope. Fundamentally, lung sounds can be crucial in diagnosing pneumonia. 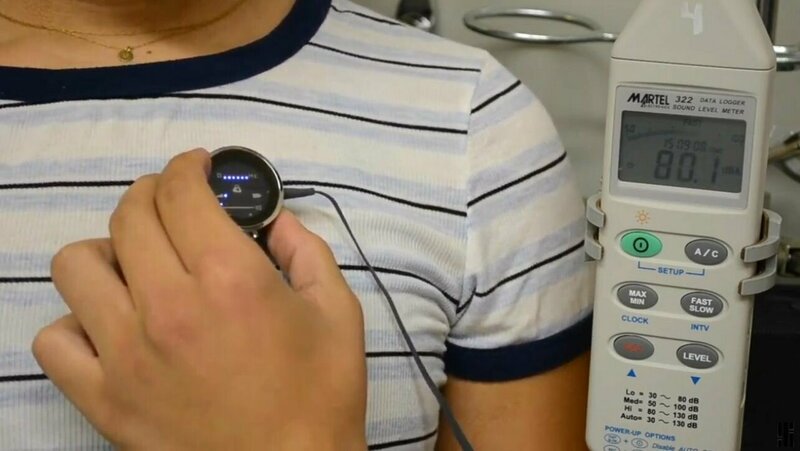 The stethoscope builds on foundational research, he said, "by incorporating an onboard microprocessor and algorithms, capable of doing things like erasing the distracting sound of the heartbeat when a doctor is trying to listen to a patient's lungs. It can also use machine-learning technology to distinguish between people with pneumonia and those without."